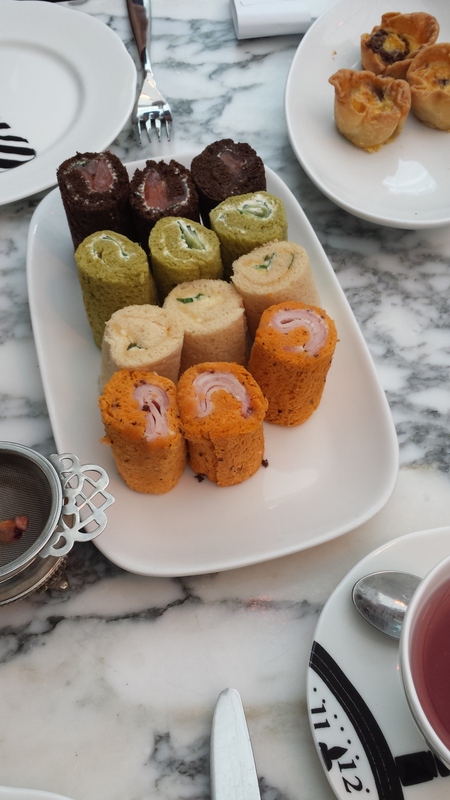 Yesterday three of my friends and I enjoyed a wonderfully whimsical afternoon tea at the Sanderson Hotel in Oxford Street. For a limited time Sanderson and Luna & Curious are collaborating on a very special kind of afternoon tea experience. 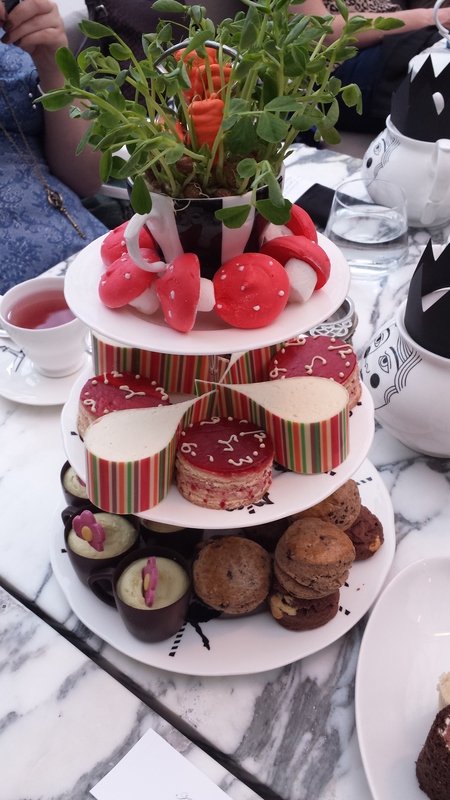 It has been inspired by the Mad Hatter’s tea party in the classic children’s story of Alice in Wonderland. Upon being seated guests receive a menu that is hidden inside a vintage book and a napkin wrapped with a riddle. 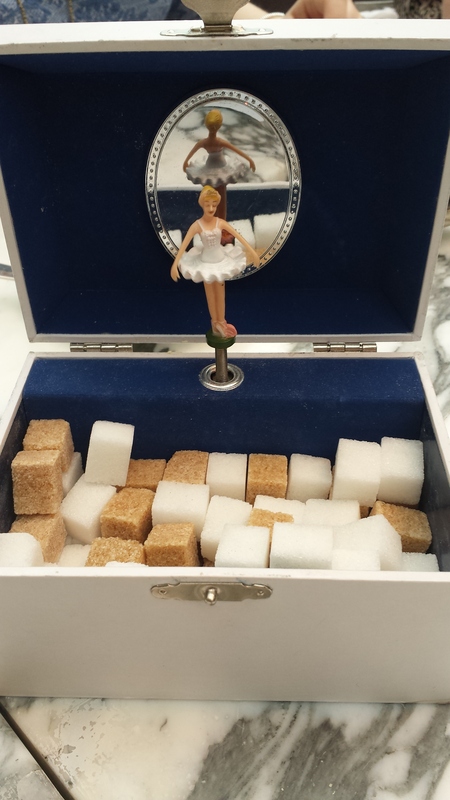 Four different types of specifically blended teas are passed around to smell before choosing your favourite (if you don’t like/fancy any of these a range of other teas and coffees are available) and the sugar is found within a jewellery box complete with ballerina dancing to the tune of ‘Somewhere Over the Rainbow’. Food is served on bespoke crockery which adds to the theme and the teapots feature kings and queens with black cardboard crowns. However, the food is the main attraction. There are dainty sandwiches on homemade bread including the smoked Cumbrian ham with wholegrain mustard on sun dried tomato bread; and cucumber and chive cream cheese on spinach bread (the ham was our favourite, they were to die for!). There are also classic home baked savoury olive and sweet chocolate chip scones with herb butter and fruit preserves. It continues to get sweeter with sweets such as ‘strawberries and cream’ homemade marshmallow mushrooms; a carrot meringue served on a bed of pea shoots; a ‘Tick Tock’ traditional Victoria sponge clock and a melting mango cheesecake coated in rainbow patterned white chocolate. Guests are then invited to ‘Jelly Wonderland’, where the most delicious fruit jellies made in Victorian jelly moulds are presented on a lavish cake trolley. At £38 it can seem a bit expensive but that is London for you and who has afternoon tea all the time anyway? It is the perfect treat for a birthday or just a lovely afternoon with your girl friends. I personally thought it was a great idea and the food delighted us all afternoon. I don’t really like tea though I did try the ‘strawberries and cream’ tea. For me it wasn’t great but my tea fanatic of a friend thought it was fabulous. I would definitely recommend going though be warned it won’t be around for very long so catch it while you can! So as you may, or may not, know I am a rather large sci-fi geek. 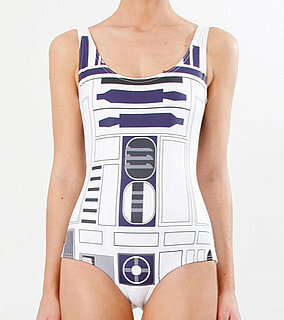 And as many geeks before me I literally almost died and went to heaven when I discovered this swimsuit. It is not just any swimsuit. 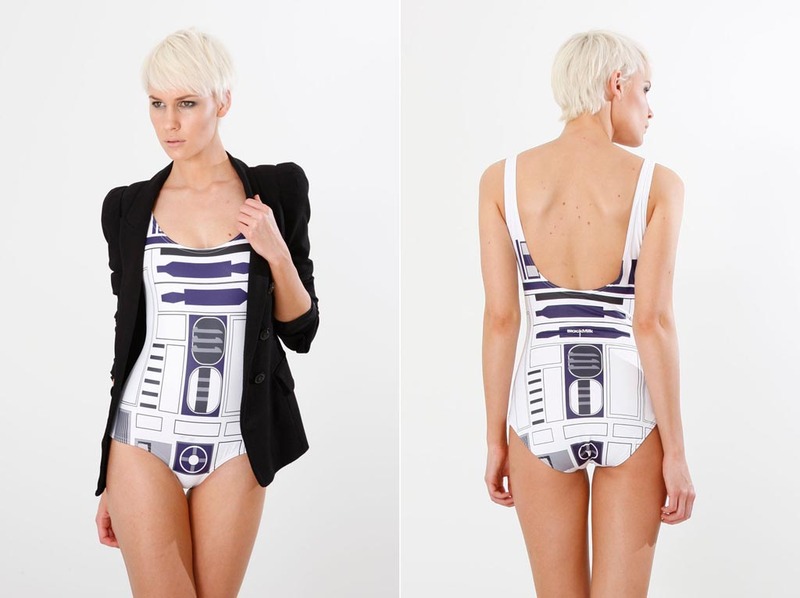 It is a limited edition ‘Artoo’ swimsuit made by designers at Black Milk Clothing. Of course as soon as I heard about it I leapt towards my laptop and frantically searched for it online. However, and it is a BIG however, the price of said swimsuit also nearly killed me. It is $100 AUD which translates to £63.72 PLUS £11.47 delivery charge! My dreams were literally crushed. No longer could I see myself in the sparkling blue seas of Portugal and Cyprus looking like a sci-fi goddess with the sun shining down on me. I’m not going to lie I am thoroughly disappointed. So now begins the epic task of saving up money in order to get the swimsuit of every geek’s dreams (alas there are no replicas on the likes of ebay or amazon). Isn’t it marvellous! *fangirl screech* If you would like to look on the Black Milk Clothing website, or are rich enough to buy this for yourself (I envy you if you are) then you can find the swimsuit and the website here. Enjoy!